Other Is Buddhism a Theory or a Philosophy? Is Buddhism a Theory or a Philosophy? The enlightenment of the Buddha is not a product of mere intellect. During the time of the Buddha there were many learned men in India who pursued knowledge simply for its own sake. These people were full of theoretical knowledge. Indeed, some of them went from city to city challenging anyone to a debate and their greatest thrill was to defeat an opponent in such verbal combats. 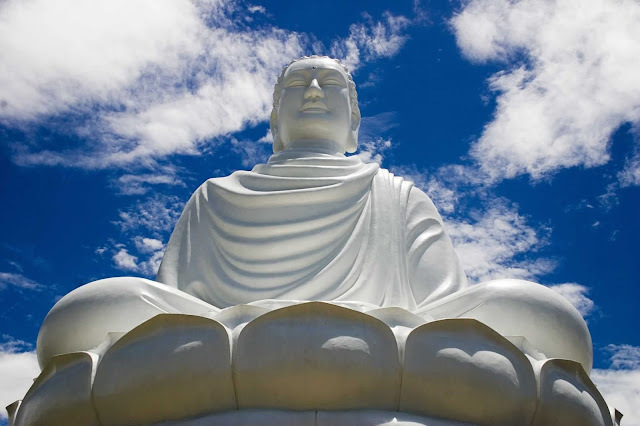 But the Buddha said that such people were no nearer to the realization of the truth because in spite of their cleverness and knowledge they did not have true wisdom to overcome greed, hatred and delusion. In fact, these people were often proud and arrogant. Their egoistic concepts disturbed the religious atmosphere. According to the Buddha, one must first seek to understand one's own mind. This was to be done through concentration which gives one a profound inner wisdom or realization. And this insight is to be gained not by philosophical argument or worldly knowledge but by the silent realization of the illusion of the Self. Buddhism is a righteous way of life for the peace and happiness of every living being. It is a method to get rid of miseries and to find liberation. The Teachings of the Buddha are not limited to one nation or race. It is neither a creed nor a mere faith. It is a Teaching for the entire universe. It is a Teaching for all time. Its objectives are selfless service, good-will, peace, salvation and deliverance from suffering. Theories are product of the intellect and the Buddha understood the limitations of the human intellect. He taught that enlightenment is not a product of mere intellect. One cannot achieve emancipation by taking an intellectual course. This statement may seem irrational but it is true. Intellectuals tend to spend too much of their valuable time in study, critical analysis and debate. They usually have little or no time for practice. A great thinker(philosopher, scientist, metaphysician, etc.) can also turn out to be an intelligent fool. He may be an intellectual giant endowed with the power to perceive ideas quickly and to express thoughts clearly. But if he pays no attention to his action and their consequences, and if he is only bent on fulfilling his own longings and inclinations at any cost then, according to the Buddha, he is an intellectual fool, a man of inferior intelligence. Such a person will indeed hinder his won spiritual progress. The Buddha's Teaching contains practical wisdom that cannot be limited to theory or to philosophy because philosophy deals mainly with knowledge but it is not concerned with translating the knowledge into day-to-day practices. Buddhism lays special emphasis on practice and realization. The philosopher sees the miseries and disappointments of life but, unlike the Buddha, he offers no practical solution to overcome our frustrations which are part of the unsatisfactory nature of life. The philosopher merely pushes his thoughts to dead ends. Philosophy is useful because it has enriched our intellectual imagination and diminished dogmatic assurance which closes the mind to further progress. To that extent, Buddhism values philosophy, but it has failed to quench spiritual thirst. Remember that the chief aim of a Buddhist is to attain purity and enlightenment. Enlightenment vanquishes ignorance which is the root of birth and death. However, this vanquishing of ignorance cannot be achieved except by the exercise of one's confidence. All other attempts, especially mere intellectual attempts are not very effective. This is why the Buddha concluded: 'These [metaphysical]questions are not calculated to profit; they are not concerned with the Dhamma; they do not lead to right conduct, or to detachment, or to purification from lusts, or to quietude, or to a calm heart, or to real knowledge, or to higher insight, or to Nibbana.' (Malunkyaputta Sutta - Majjhima Nikaya) In place of metaphysical speculation, the Buddha was more concerned with teaching a practical understanding of the Four Noble Truths that he discovered: what Suffering is: what the origin of Suffering is; what the cessation of Suffering is; how to overcome Suffering and realize final Salvation. These Truths are all practical matters to be fully understood and realized by anyone who really experiences emancipation. Enlightenment is the dispelling of ignorance; it is the ideal of the Buddhist life. We can now clearly see that enlightenment is not an act of the intellect. Mere speculation has something alien to it and does not come so intimately into contact with life. This is why the Buddha placed great emphasis on personal experience. Meditation is a practical scientific system to verify the Truth that comes through personal experience. Through meditation, the will tries to transcend the condition it has put on itself, and this is the awakening of consciousness. Metaphysics merely ties us down in a tangled and matted mass of thoughts and words.